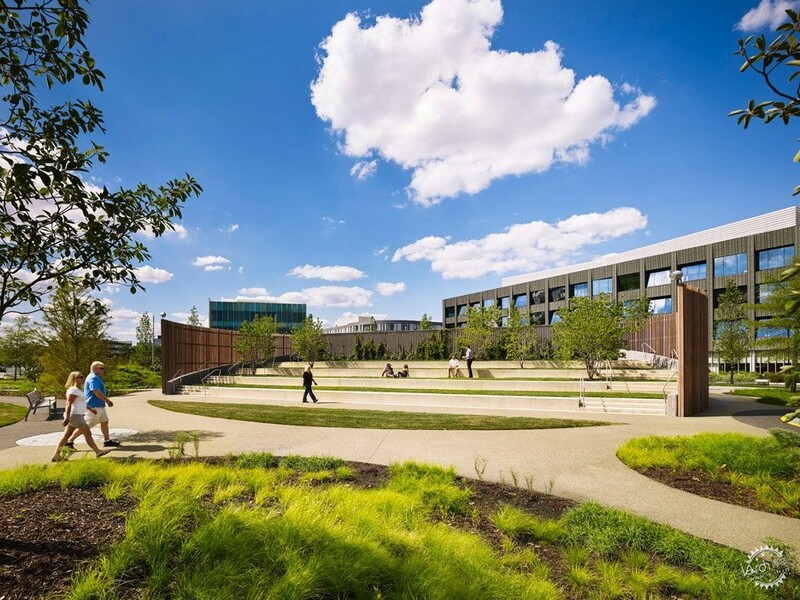 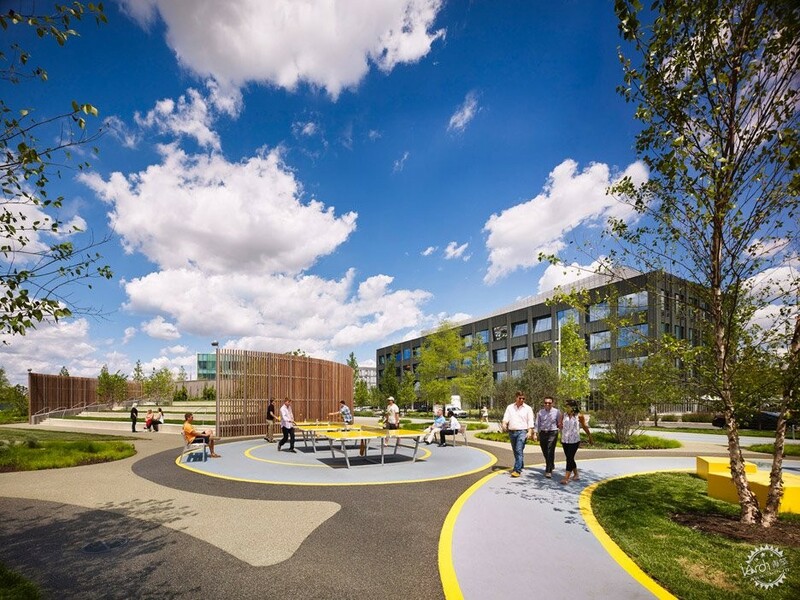 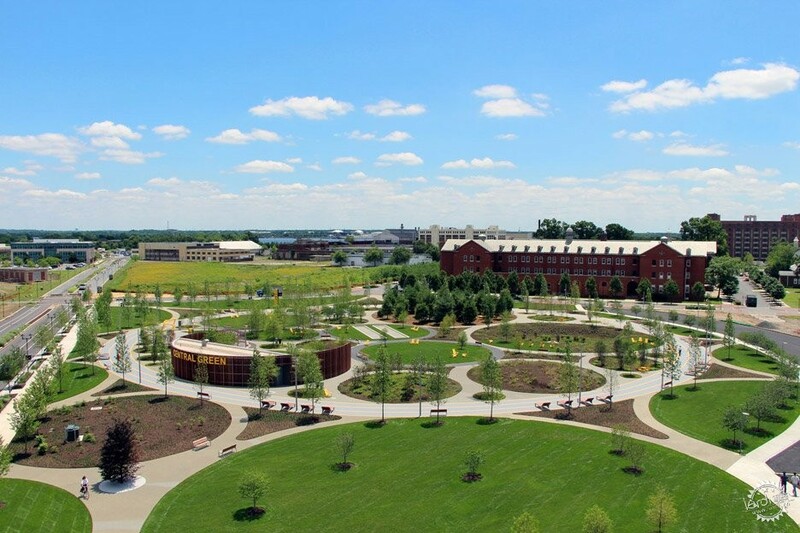 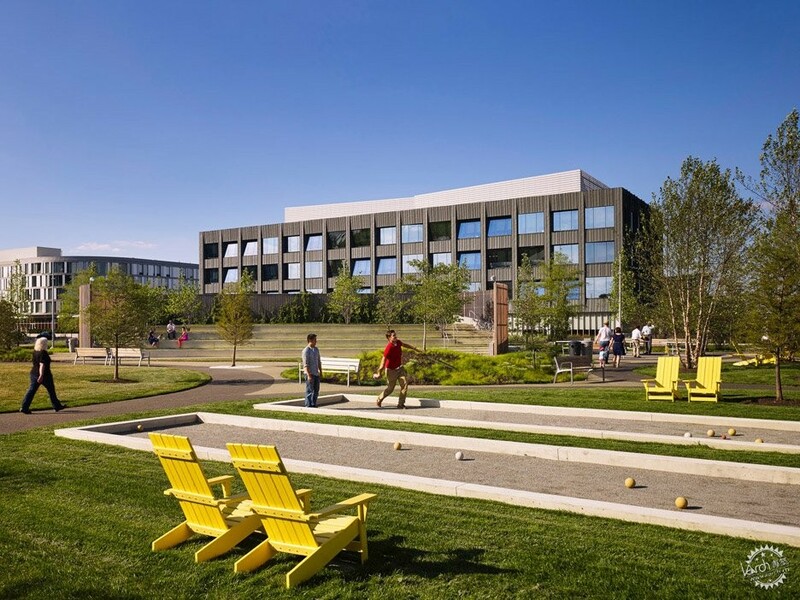 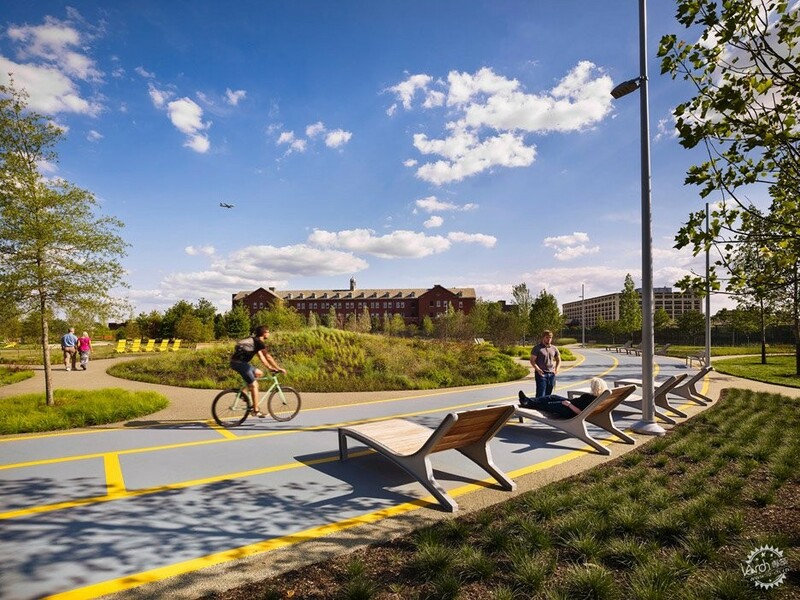 A+Awards: landscaped circles accommodate different activities at the centre of the redeveloped Navy Yards in Philadelphia, designed by James Corner Field Operations and a winner at the 2016 Architizer A+Awards. 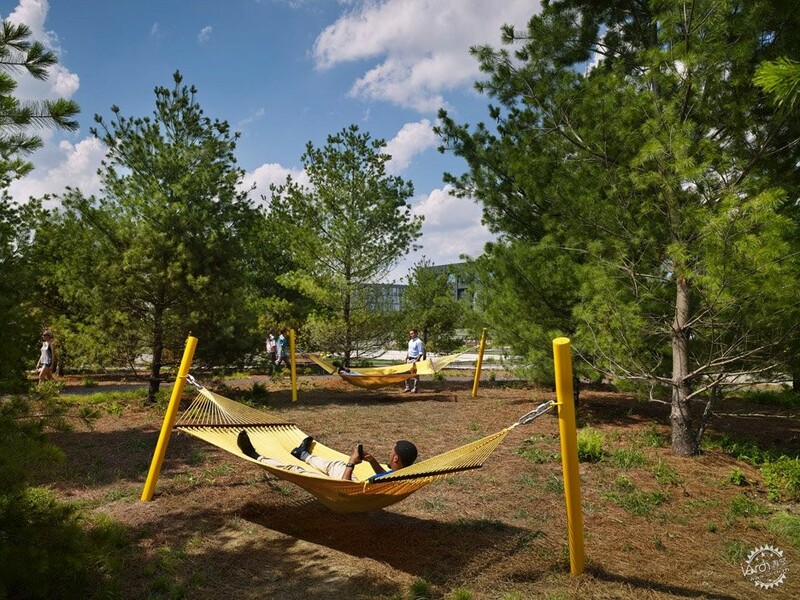 New York-based landscape architecture firm James Corner Field Operations – which worked on the High Line – was tasked with turning the five acres (two hectares) of open space into a outdoor activity hub for those working in the area. 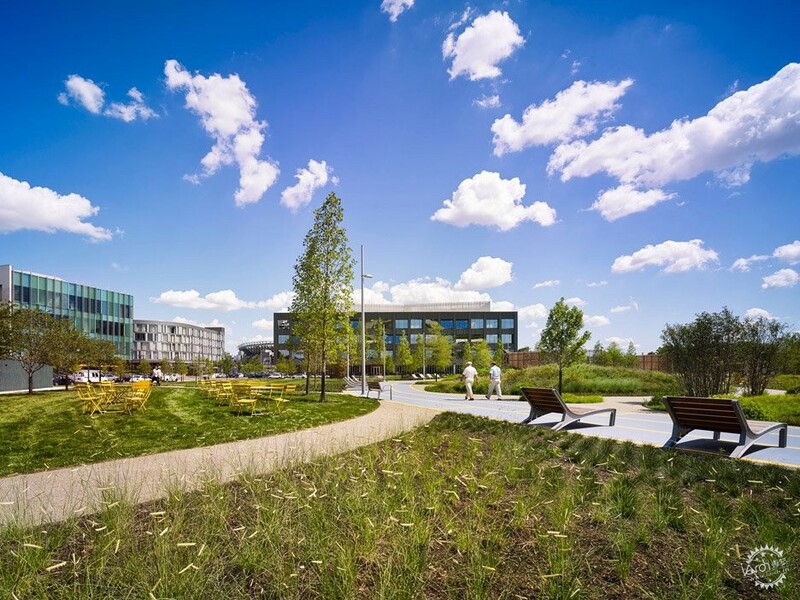 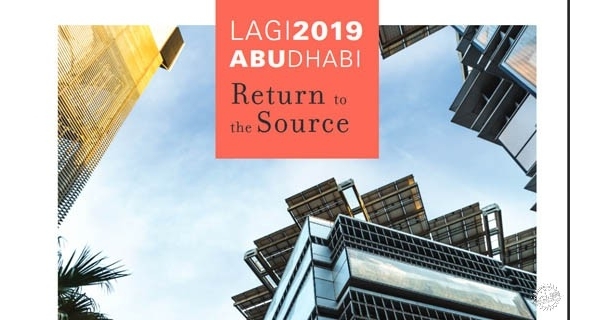 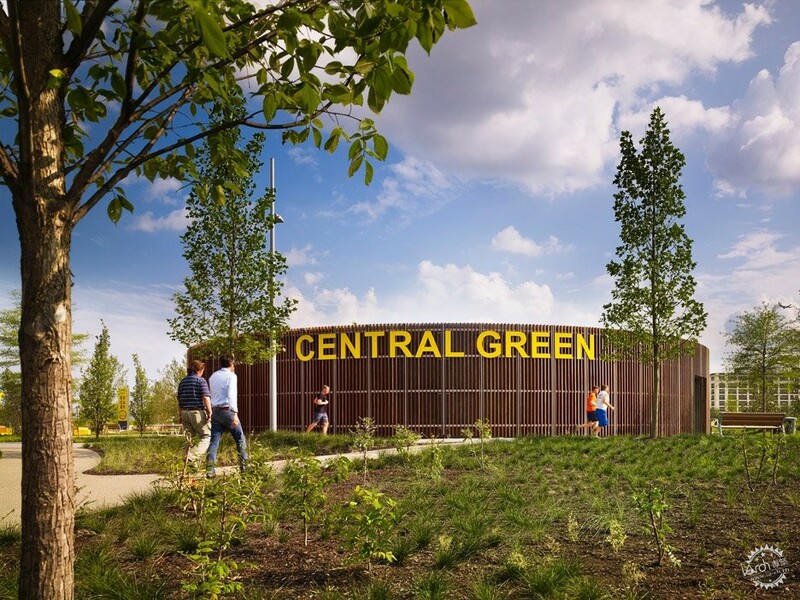 The design unites the cutting-edge urban potential of the site with its native habitat, resulting in a new type of environment that is sustainable, green and natural as well as social, active and urban." 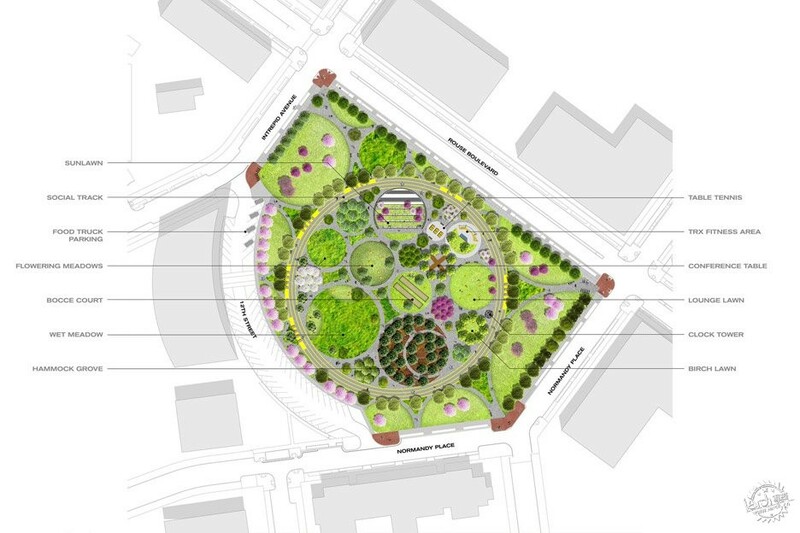 Field Operations chose circles to organise the site plan. 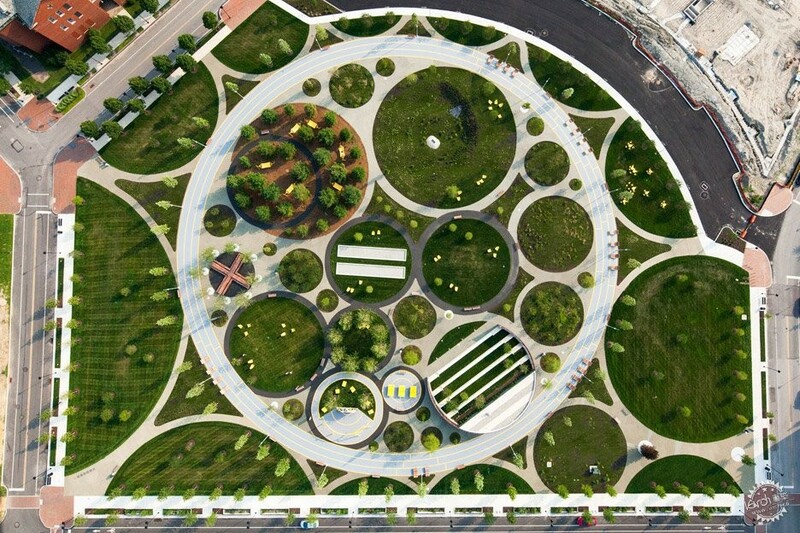 An outer ring, which acts as a running track, contains smaller round patches of various sizes that are each assigned a different function. 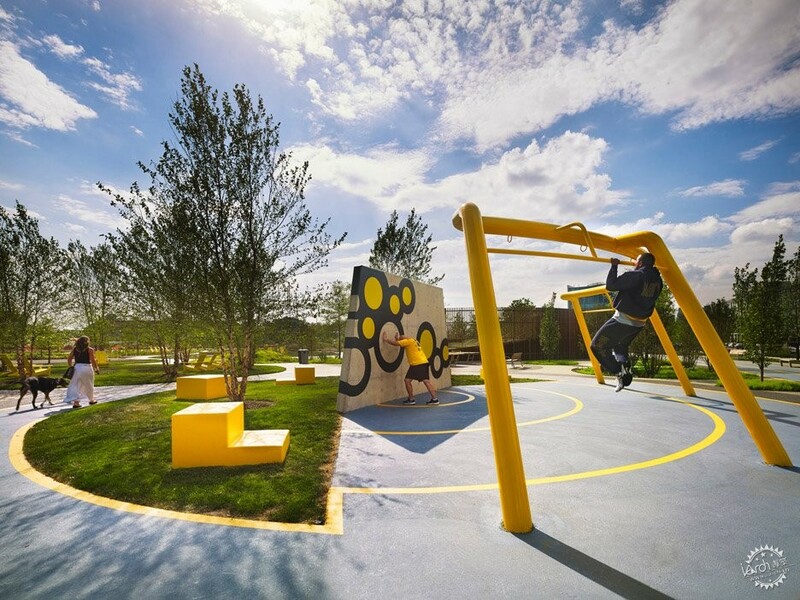 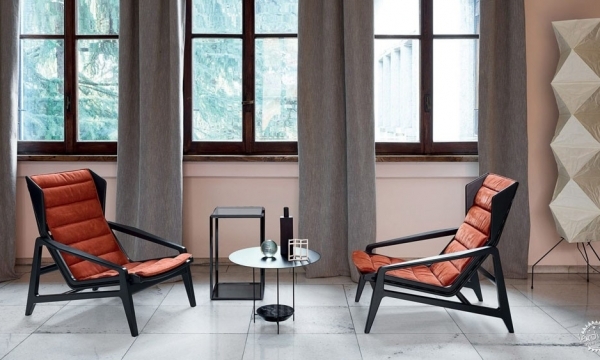 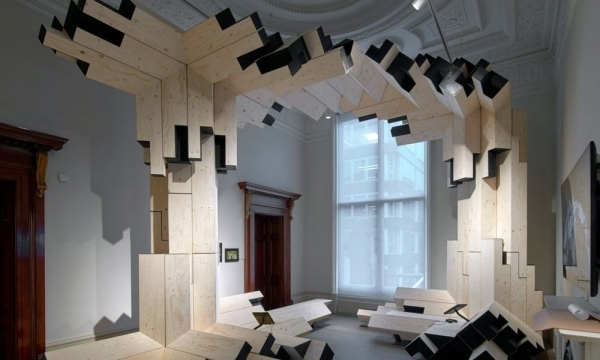 Some are simply planted, while others host performance spaces, seating areas and gym equipment. 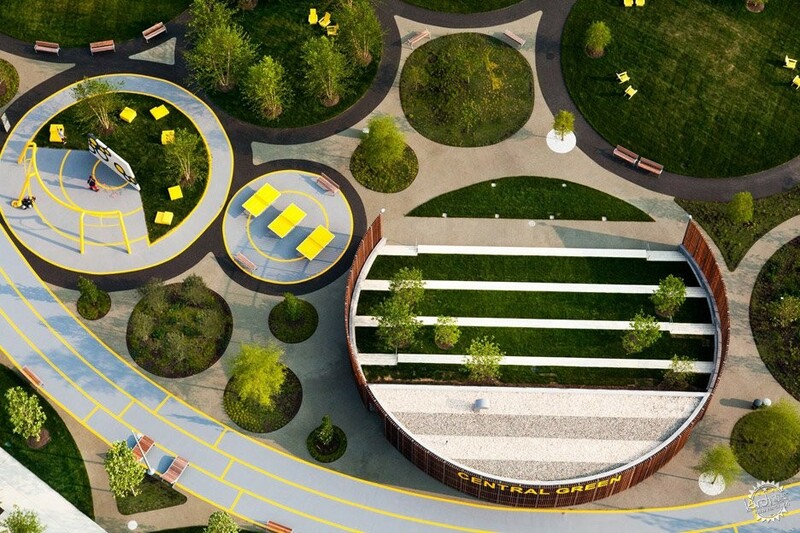 "A 20-foot-wide (six-metre) Social Track organises the site's circulation and frames a unique, immersive interior park featuring flowering meadows, a hammock grove, an outdoor amphitheater, bocce courts and fitness stations," the firm said. 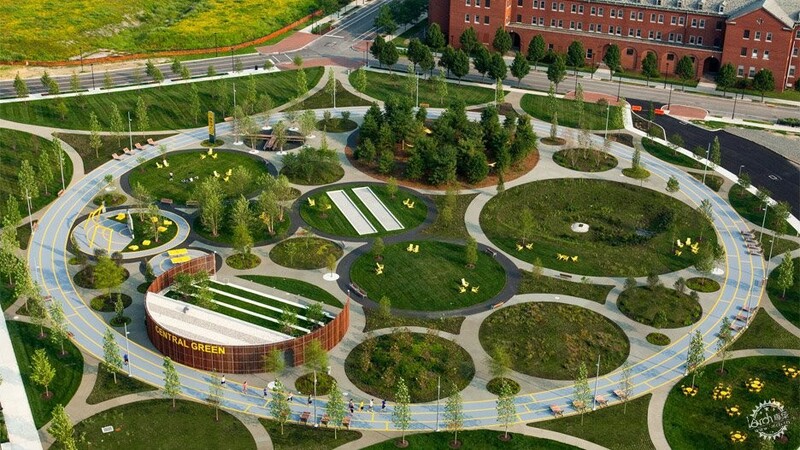 Gravel pathways meander between the circles and fan out past the light-blue track to link to the surrounding streets. 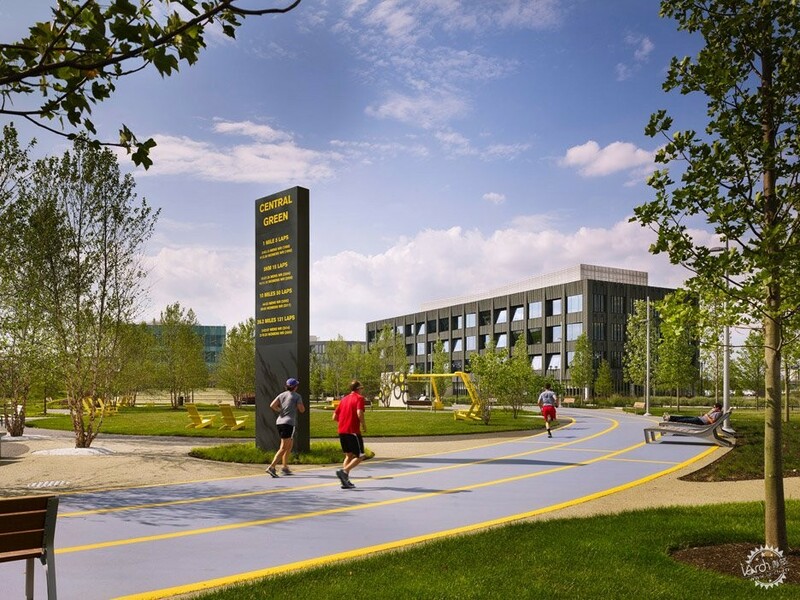 Furniture, floor markings and wayfinding posts across the site are picked out in bright yellow. 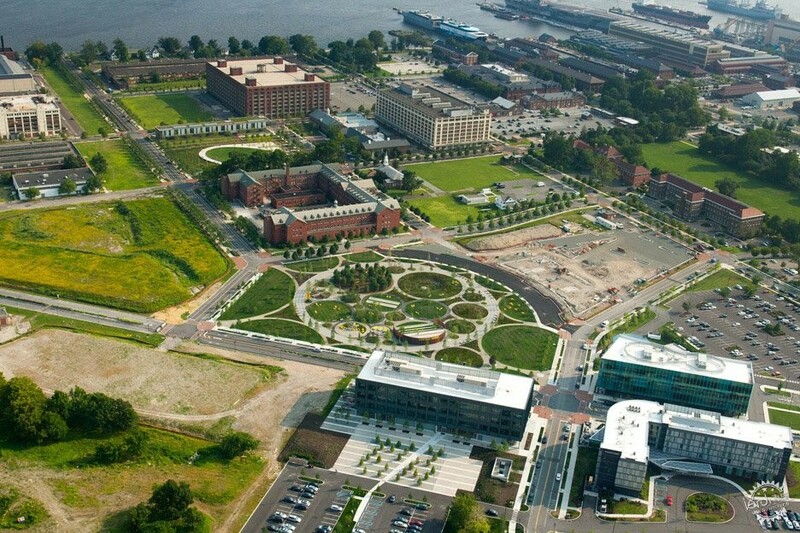 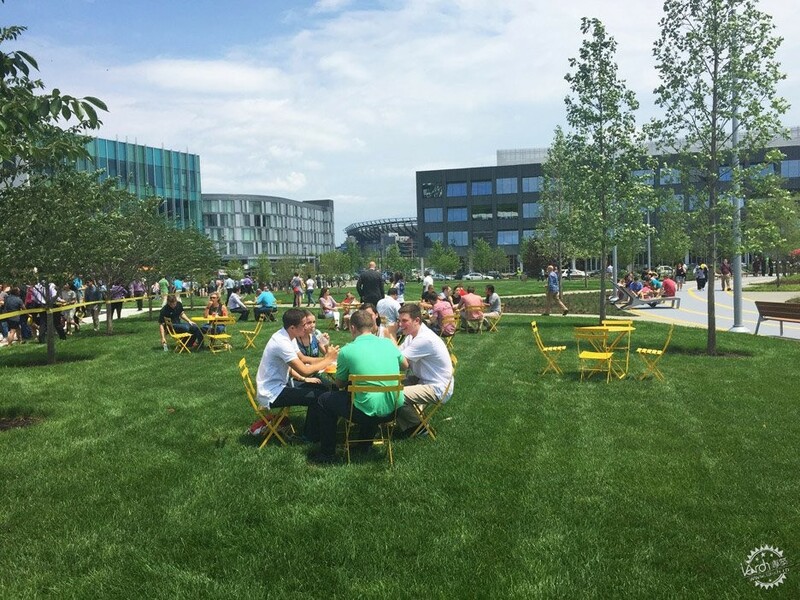 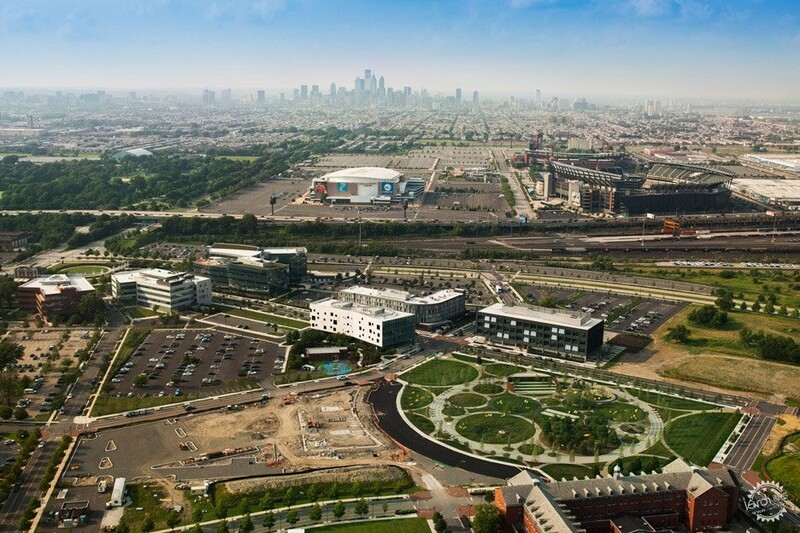 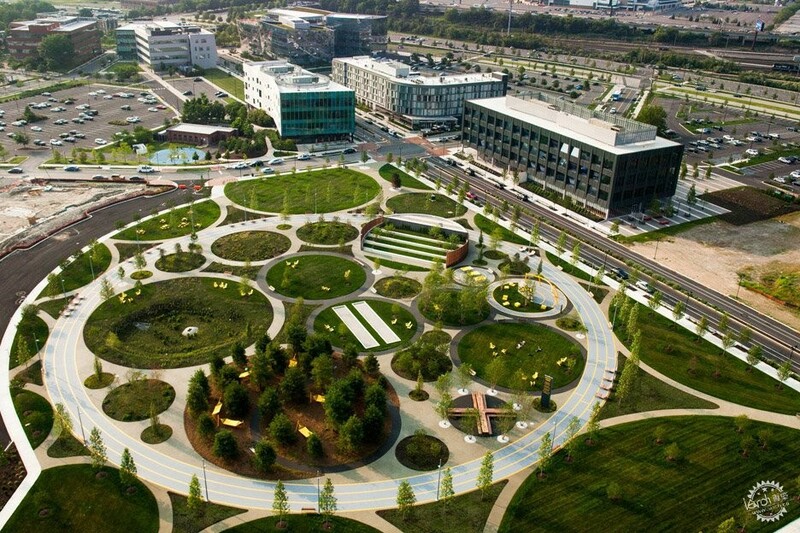 The Philadelphia Navy Yards Central Green was completed in 2015, and was the Popular Winner in Public Park category at the 2016 A+Awards.